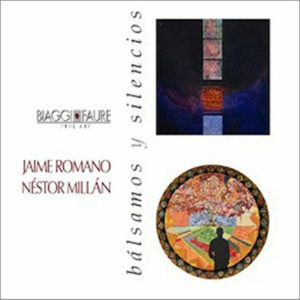 Jaime Romano was born in San Juan, Puerto Rico on March 10, 1942. He studied at the Río Piedras campus of the University of Puerto Rico, where he obtained undergraduate degrees in Business Administration in 1963 and in Humanities–Fine Arts in 1966. 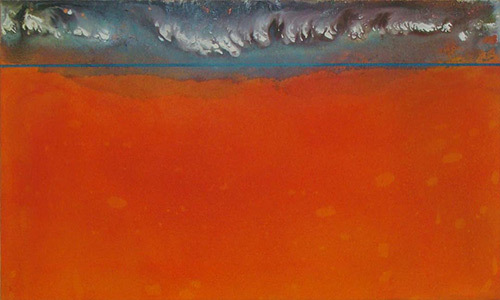 At the American University of Washington, D.C., he earned a Master of Arts–Painting degree in 1969. 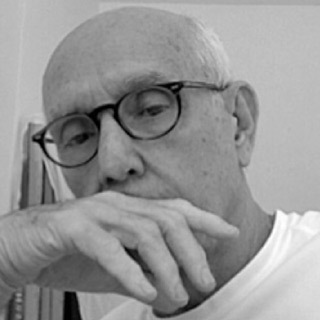 He lived in New York City and in Washington D.C. from 1975 to 1986, where he studied at New York University while exhibiting his artwork internationally. Upon his return to Puerto Rico, he rejoined the faculty of the Department of Fine Arts at the Río Piedras campus of the University of Puerto Rico, retiring as a tenured Full Professor in 2008. Since 1964 Romano has presented more than 40 solo shows in Puerto Rico, New York, Washington, D.C. and Atlanta. He has also participated in numerous important group shows throughout the Caribbean, North and South America, as well as Europe. His works are found in significant public and private collections at national and international levels. He has presented three comprehensive exhibitions of his work. 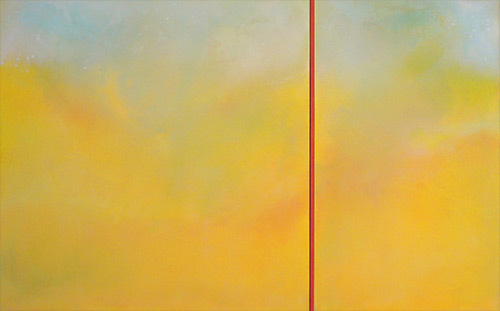 In 1987, the Ponce Museum of Art and Chase Manhattan Bank showed a selection of his works created during his years of residence in the United States. His first solo show at the Museo de Arte Contemporáneo de Puerto Rico in 2002 consisted of works done during his year-long sabbatical from the University of Puerto Rico. The 2015 exhibition at the same venue in recognition of his 50-year of career was his most comprehensive, spanning the years 1967-2015. The Midtown Gallery, Washington, D.C.
C. Law Watkins Collection, Washington, D.C.
Fondo del Sol, Washington, D.C.
Sheraton Hotel Corporation, Washington, D.C.
Hispanic Artist of the Year, Department of Health & Human Services, Washington, D.C., E.U.A. 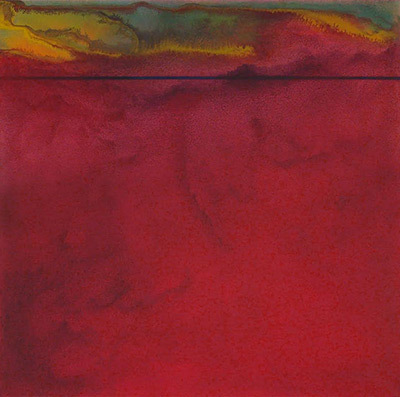 Artist Jaime Romano is a master of abstract landscapes, infinite planes and marred colors. Over the last two decades he has laced color diffusion and architectural paradigms into conceptual anecdotes of his life and that around him. In his next exhibit, “Saltimbanqui”, the artist returns with the same aesthetic intensity, this time with bucolic methods. Romano was mixing diagonal lines and abstract patterns when he realized his pieces exhibited a behavior not unlike a saltimbanqui, a synonym for acrobat or juggle in Spanish. Indeed the artist’s visual language travels effortlessly through geometric shapes and abstract forms. Unlike his previous work, he used watercolors and vine charcoal instead of acrylic, and opted for small format pieces. “I wanted to push the medium”, he explains of his use of watercolors. For him, it is a creative tool rarely explored by other artists. His point is evidenced in the bizarre depth of fields he achieved when blending gouache, an opaque watercolor with regular watercolor. The versatility of meanings and methods comes as no surprise. 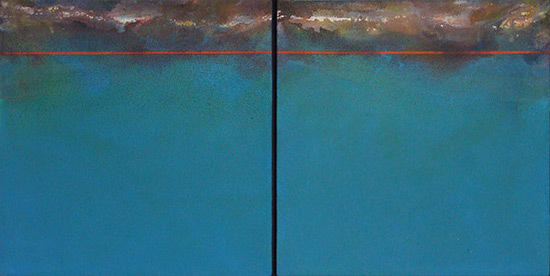 In his previous show, Marginados, Romano used acrylic with enough water infusion to make the paint drip down the canvas. The various colors expanded, creating uneven patterns down the board. Each piece consisted of two canvases–one wide with spontaneous patterns and a thin one with an elaborate pattern. The artist explains that the elaborate fraction represents people who ostracize themselves from society. As in the painting these people impose strict and implausible standards on themselves that eventually alienate them from the world. As in many of his pieces, Romano perpetually tries to conciliate the logical with the abstract, the concrete with the ethereal. The show was, no doubt, a reflection of Romano, a detail oriented and hardworking artist who studied management before moving into art. Eventually the artist help edify Puerto Rico’s art scene alongside masters Myrna Báez and the late John Balossi. The artist is surely owed a retrospective, but in the meantime, art enthusiasts can check his work out at the Briana Hall at Biaggi Faure Gallery during the month of May. 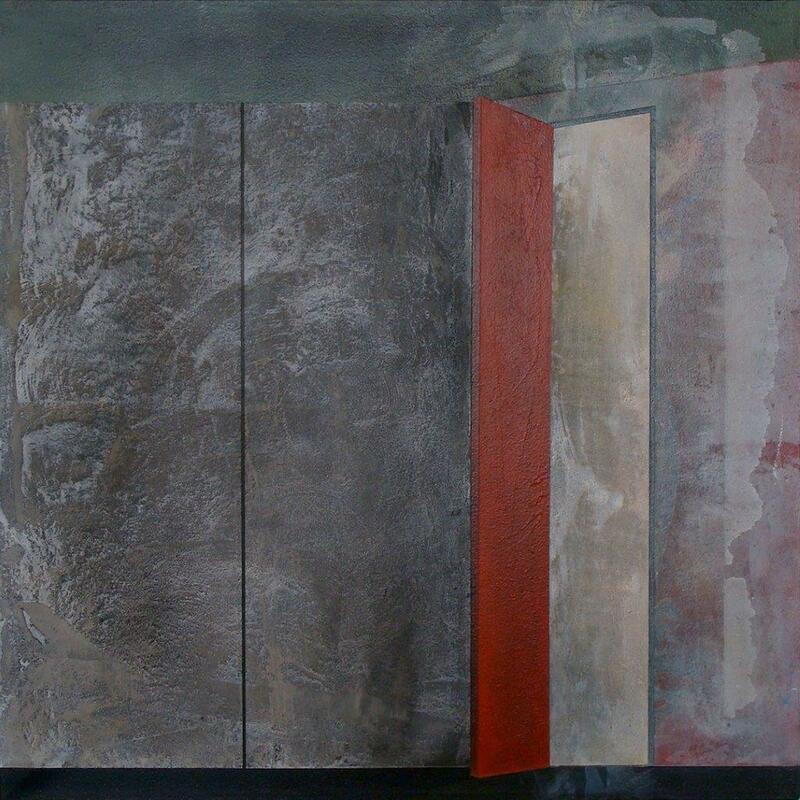 Romano’s paintings have always been cerebral but delightfully conceived poetic experiences. Now that he has retired from teaching painting at the University of Puerto Rico’s Río Piedras campus, Romano has the free time and inspiration to produce extraordinarily good paintings. Proof of this are his last three exhibitions where he has fully accepted the freedoms he now possesses to experiment with great enthusiasm and professionalism that defined him during his four-decade career. And it is within this context that his present exhibition, titled “Retratos de Honoré Subrac”, should be seen. Using Honoré Subrac (the protagonist of a story about a man who was chased constantly since being condemned to death by the husband of the woman with whom he had an affair, but who saved his life because of his mimetic powers) as a metaphor for the art of hiding, Romano creates abstract scenarios where the viewer has the possibility to find Subrac, or anything he or she wants to find. Multiple “frames” define the “game” this artist has resourcefully constructed from the story, so that we can conduct our own survival story.